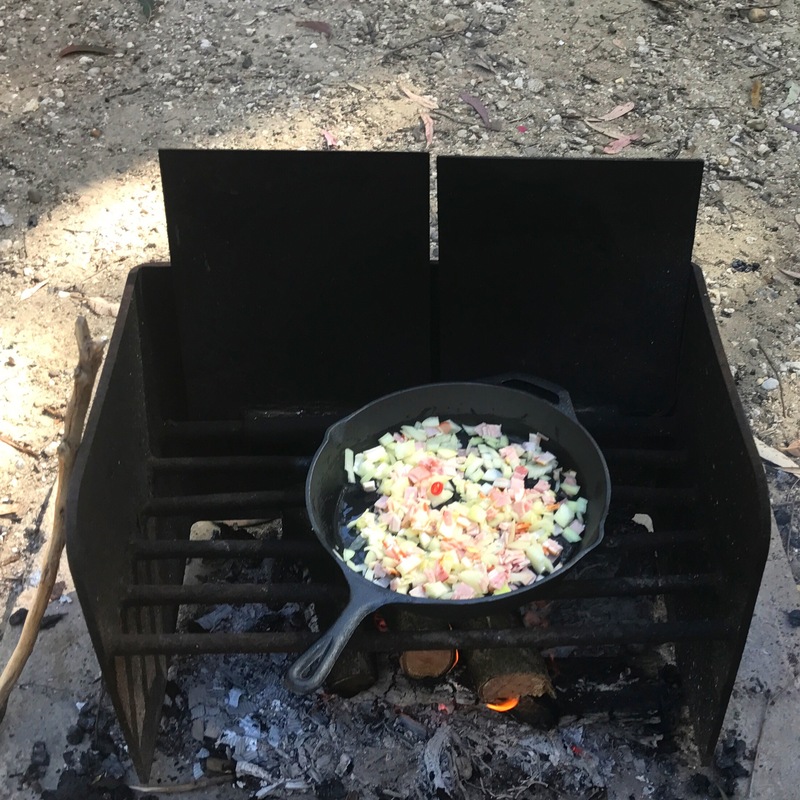 I love camping, I love the relaxed pace, and being able to take time to cook. This trip we decided to experiment with cooking over an open fire, and I loved it. I want to cook with fire all the time now. At the campground in Pebbly Beach, NSW, they had these awesome fire set ups at each site. I had brought along a fire pit with a grill to sit over the top but decided to use this one instead. The set up was so good I ducked into Aldi today and grabbed a version they were selling a couple of weeks back, and luckily they still had some available. Their one is a fold down one which is great. 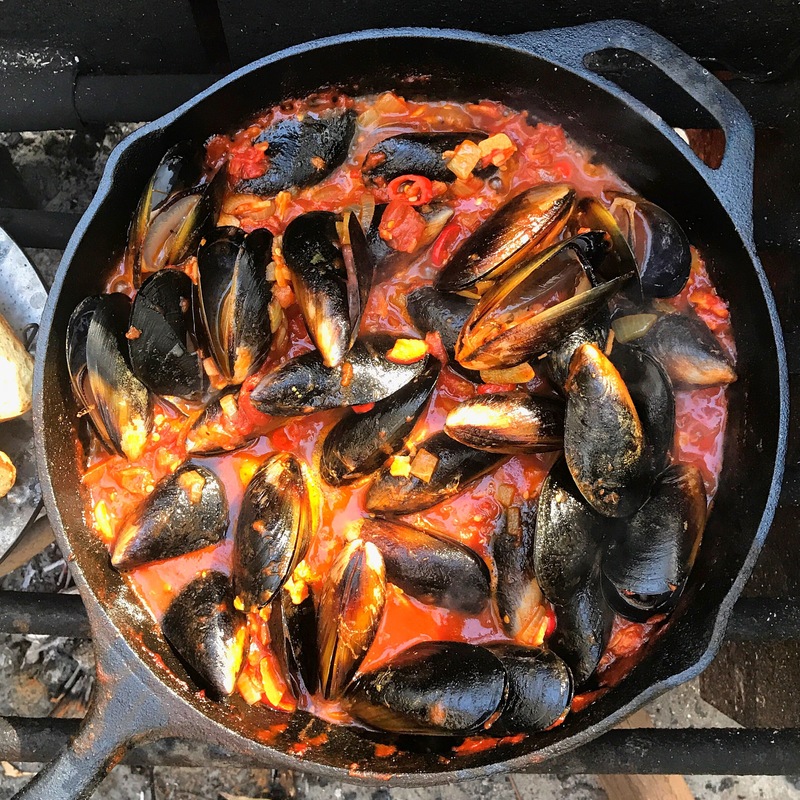 These mussels were absolutely amazing! One of the best meals I have eaten in such a long time. The sauce was delicious and full of flavour, with a nice chilli hit. I had left over bacon from breakfast, so added it in, and I think it really made the dish. 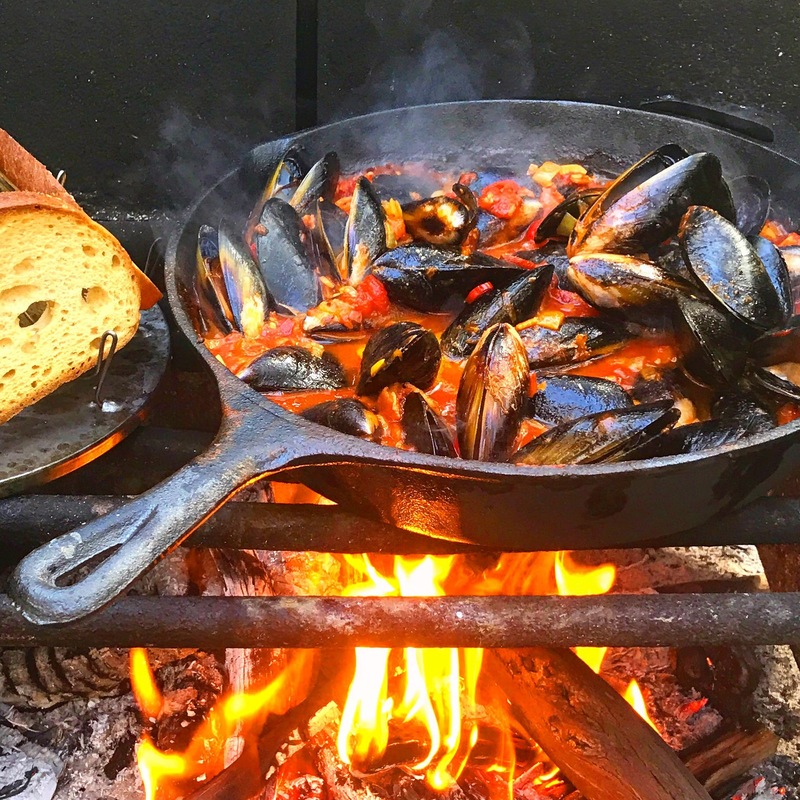 I also had a go at cooking whole rainbow trout on the first night, and charcoal chicken roast on the last night, they were both good, but the mussels where definitely the winner of the weekend. Pretty hard to beat! Served them with some gluten free bread toasted over the fire so soak up all that amazing sauce. Add the wine, tomatoes, tomato paste and salt & pepper. Stir to combine and then let simmer for 10-15mins until sauce starts to thicken. Add the mussels and stir through. 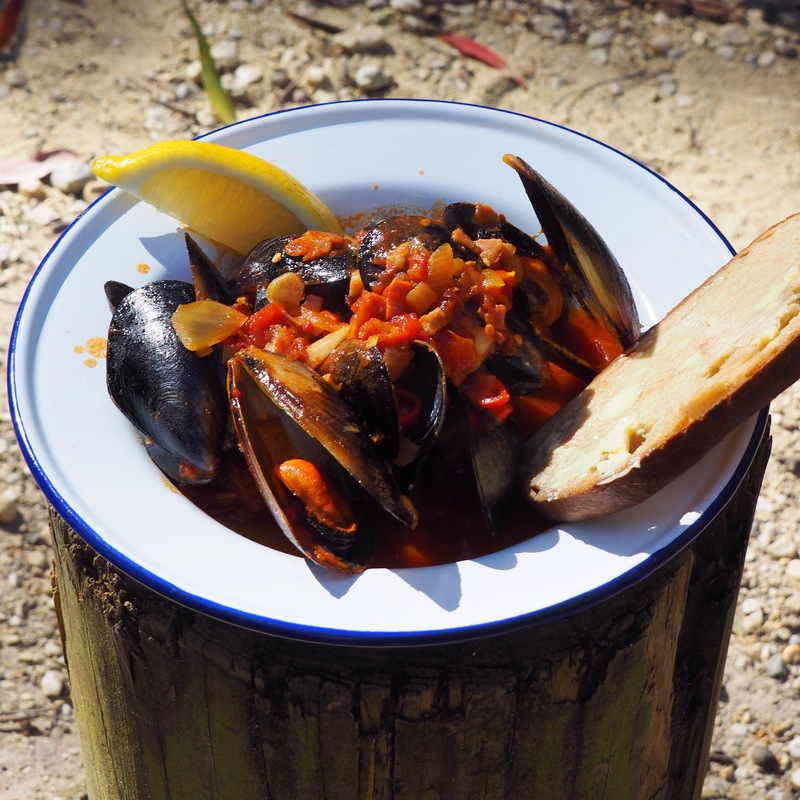 When the mussels start spending give them a stir to get the sauce through the mussels and inside the shells. Once all open, remove from the heat, discard any unopened shells. Sprinkle over some parsley leaves.